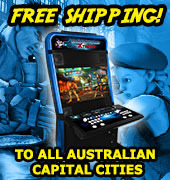 Wholesale Namco Noir cabinets available ex Sydney for immediate clearance. Available with or without game boards, choose from Tekken 6, Tekken 6BR and Tekken Tag 2 twin set. Prices start at $750aud including tax. We have massively reduced pricing on a selection of arcade machines such as Sega Race TV, Rambo, Taiko No Tatsujin 12, Pop n Music 19, Daytona USA, Cyclone Fever, New Net City and more. Some of these machines have been reduced by over $1000! We are proud to announce that Highway Games will be exhibiting at the GTI Asia China Expo 2014 commencing this Friday the 22nd August! We will be showcasing our English Version Ocean King: Return of the King and Ocean King: King of Treasures fish hunting machines as well as introducing our PlayPortal Cashless Card System for arcade and gaming machines. These products will be demonstrated during the expo and our team will be able to answer all your questions regarding them! We are happy to announce that we will be upgrading our Sega Race TV Driving Arcade Machines to English! We will have 4 units of this highly popular, high-octane racing game available very soon! Sega Race TV runs on the Lindbergh system hardware and allows up to four players to race together across five different courses. It has a distinct American theme, and is jammed packed full of exciting features! So why not put the pedal to the metal and burn some serious rubber! All stock must go! We are currently offering some fantastic deals on a wide range of machines including Initial D6, Pop n Music 19, Sports Jam, Fighting Mania, Taiko No Tatsujin 12, Game Wizard, Hummer, Tekken 6 Bloodline Rebellion, Cocktail Tables, Rambo DX and heaps more! Some of our machines have reduced pricing or free stools or free freight or extended warranty or even a $450 voucher included! 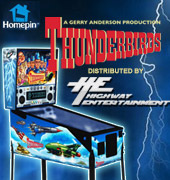 If you have been looking to update your arcade center, venue, family room or mancave - now is the time! We are happy to announce that we have English Versions of the popular Mario Kart GP 2 Arcade Machine now in stock! Mario Kart Arcade GP 2 Arcade Machine is one of the more recent installments of the Mario Kart franchise and features 32 variations of courses across eight different worlds, with the ability to link up to four players. It is perfect for all ages - the young will enjoy all the fun Nintendo and Namco Characters such as Mario, Yoshi, Princess Peach and Pac-Man, whereas the old will be able to take a trip down nostalgia lane and appreciate a new imagining of a popular console game! We are currently offering a very special deal of Daytona USA 42" LCD Twin DX Arcade Machines. We have 4 twin machines available at $5,500usd. This is a massive saving of $2,000! These Daytona machines have been upgraded from their original rear projection monitors to LCD and are can be purchased as a twin or 4 player sets. Great opportunity to buy Sega Blast City machines for below parts value. Most machines were working well, however the monitors have stopped working and we have decided to clear our warehouses stock at heavily discounted pricing. Put the pedal to the metal and start burning some serious rubber! We will have Daytona USA Arcade Machines available for sale very soon!! Daytona USA is one of the most popular driving arcade machines in the world. It is a high-speed stock car racing game providing an authentic racing experience. Arcade Machines Buy one, get one FREE Sale, is currently underway - buy a new XBOX XTreme Gaming cabinet and receive the 2nd for free. Or, buy a Thrill Drive 2 Twin, and receive a 2nd Thrill Drive 2 Twin for free. All machines located in our Newcastle warehouse.